Comparative research on higher education in developing and transitional countries is often focused on such issues as access, finance, student mobility and the impact of globalization, but there has been little attention to curriculum and the forces that shape it. Confronting Challenges to the Liberal Arts Curriculum fills an important gap in the literature by examining the context, content, challenges, and successes of implementing liberal arts coursework within undergraduate curriculum. 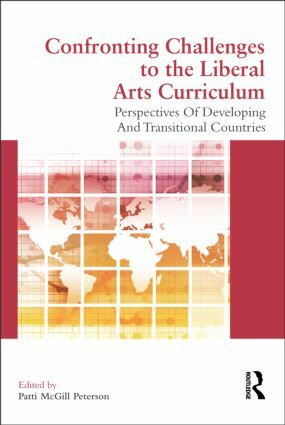 In order to fully understand the place of liberal education in each location, chapter authors have employed a wide lens to investigate the influences upon curricular content in China, India, Mexico, Pakistan, Poland, Russia, South Africa, and Turkey. Thus, this volume explores how curricular content is decided, how educational programs are being structured, and whether countries are viewing higher education as more than just the preparation of students for specialized knowledge. By providing detailed case studies of these countries at crucial transition points in their higher education systems, each chapter outlines the state of higher education system and the government’s role, the impact of imported models, the presence of a liberal education, the curricular formation, and best examples of successful programs. Ultimately, this volume depicts how global influences have come to rest in developing countries and how market forces far removed from faculty and students have shaped the undergraduate curriculum. This valuable book is of interest to scholars and researchers in Higher Education as well as practitioners working to foster student and faculty exchange and raise awareness of curricular issues.